We are always grateful for more volunteers, and there are many ways to help out even if you have little or no experience with horses or disabled people, as full training can be provided and there are plenty of important jobs to be done which do not involve direct contact with the horses. If you are interested in volunteering at Cambs College RDA and would like to find out more, please use the Contact Form on the left of this page to get in touch! The Group regularly takes on students working towards their Duke of Edinburgh Awards, many of whom stay on after completing this. It is also possible for young volunteers to work towards the Young Equestrian Leaders Award (YELA) through their work with RDA. 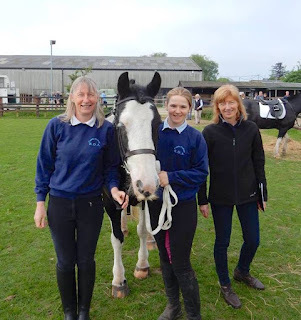 Naturally, for sixth formers applying to university, volunteering at the RDA is excellent experience to have on your CV whatever you plan to study! The RDA offers excellent opportunities for personal development to all its volunteers. For more information on volunteering at RDA generally, please click here to read the RDA National volunteering FAQs.